I am, when it comes to cinema, an absolute coward. I specifically cannot stand horror films and am the first to run for the covers whenever the music starts to build even slightly. As a film geek, however, that simply will not do. 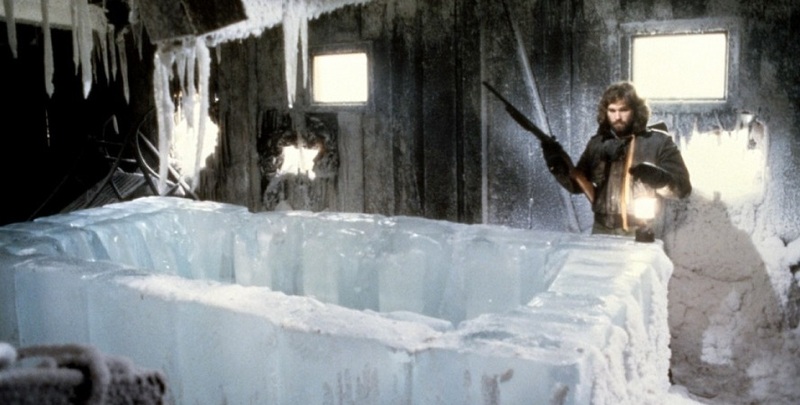 Luckily for me, In the House was screening a Halloween double feature of The Thing and The Shining. 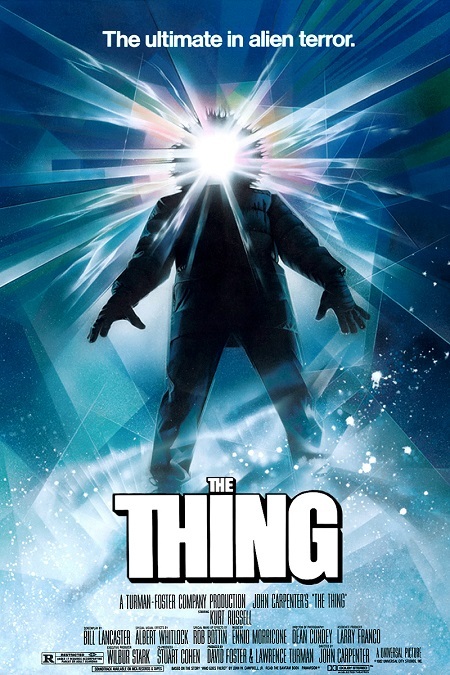 John Carpenter’s The Thing has long been of interest to me as an intriguing combination of sci-fi and horror which would melt any geek’s heart (with a flamethrower). I worked up my nerve and headed on down to George St cinemas for their screening of the film. As is In the House tradition; MCs Jason ‘Jabba’ Davis and David ‘Quinny’ Quinn warmed up the audience before the screening. In a moment of absurdity, which can only be found at In the House screenings, one of the employees of Event cinemas frightened Jabba by hiding inside a prop coffin on the stage. Describing it here doesn’t quite do justice to it (as many moments are at In the House) but his reaction certainly amused both me and my companion before the screening. If you haven’t experienced at least one of these moments at one of these screenings, then you’re missing out. After Jabba calmed down from his brush with mortality, he and Quinny sat down for a chat about some of the trivia behind the film. An interesting tidbit from their discussion was the fact that the entire mystery of the film is revealed within the first ten minutes by one of the Norwegian researchers. The starts off on the frozen tundra of Antarctica with a dog being chased and shot at by men in a helicopter. 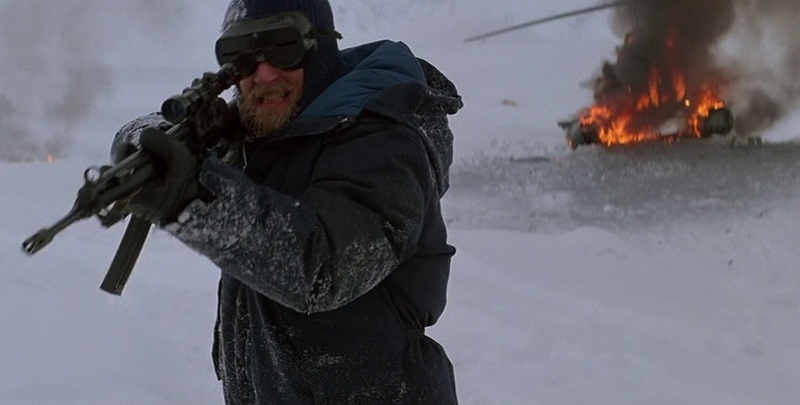 As the dog reaches an American research base, the helicopter lands revealing two crazed Norwegians who try desperately hard to kill the dog but due to their own ineptitude and inability to speak English, they both die. This erratic behaviour prompts the Americans to investigate the Norwegian base and try to ascertain what happened. They come across of slaughter and the mystery deepens as they find the charred remains of a hideous monstrosity. They return to base to try and figure out what to make of all these strange goings on but as the events unfold, they become acutely aware of what it was that drove the Norwegians to their insanity as the alien thing reveals itself. The story itself is actually quite simple and linear with the characters all attempting to survive this encounter with the alien being. They realise quickly that they are not alone and that the alien is capable of shapeshifting to appear human. The paranoia which builds subsequently is completely understandable as they quickly work out the danger that it would pose to humanity if it ever got back to civilization. Their attempts to identify who amongst them could be a doppelganger are ingenious and largely seem logical when drawing upon their limited experiences with the unknown being. 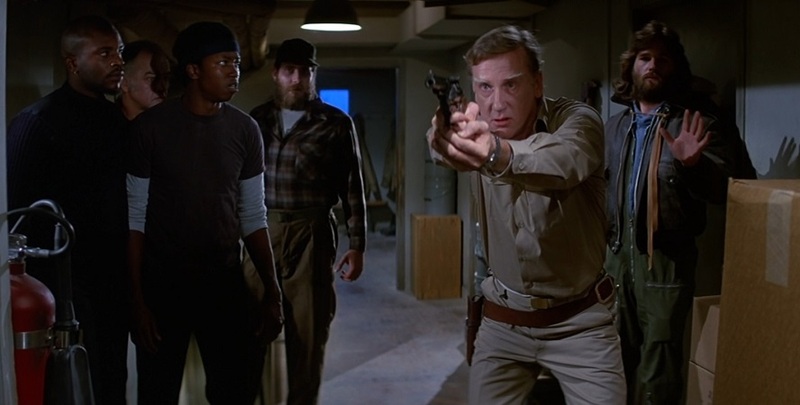 Unlike a lot of horror films, there aren’t moments where characters do stupid things for the sake of getting killed or moving the plot forward. I did not feel that we got much time to investigate the personalities of any of the characters but that is not something which I consider to be a point against. They largely all felt interchangeable for me although there were a couple of instances where we got a glimpse of a personality trait such as with the sassy cook. The film sets about fairly quickly in giving us a basic overview of each of these characters before thrusting into the main mystery of the story. There aren’t any subplots or divergent narrative points which take the audience’s attention away from the main narrative. It’s good to see that the film is confident enough in its premise alone to not worry about trying to pad itself out with superfluous subplots and it really helps to keep things moving at a fast pace. The practical effects, although dated, still hold up to this day and I was surprised by just how realistic they looked. There were a couple of scenes with the alien creature transitioning from the form of a dog into an amorphous and disturbing blob where the special effects seemed a bit plastic. This, I believe was mainly when the, otherwise awesome, glistening prosthetics of the alien being were placed directly next to fake matted fur. Other than that instance, the glistening and unnatural form of the alien being is equal parts disgusting and awesome. What made it so affecting is the fact that the film was restrained in how much it depicted the creature onscreen. This is body horror done right and is a prime example of why practical effects in film are still able to compete with the digital effects of today. As well as having mostly awesome creature design, the movements of the thing stood out for my companion. She was particularly impressed by the Thing’s twitching as it assimilated one of the hapless researchers and couldn’t tell whether the effect was a result of animatronics, puppetry, or a guy in a suit. Overall, the visual effects worked their magic in creating a creature which is deeply unsettling to behold. The film’s soundtrack was largely solid without any particular standouts. It largely served its purpose of reinforcing the film’s action and narrative beats but without any particularly noticeable tracks. An aspect of the audio design which particularly stuck out for me was the noises which the creature made when it was largely in human form. The combination of having what is ostensibly a human make such eerie sounds was deeply unsettling and evoked a sense of the uncanny for me. Overall, I very much enjoyed this film and the way it approached horror. The story was straightforward and focused which ensured that every moment of screen time was dedicated to deepening the mystery or heightening the tension. The visual effects largely hold up with the practical effects especially still coming across as gross and disturbing as ever. 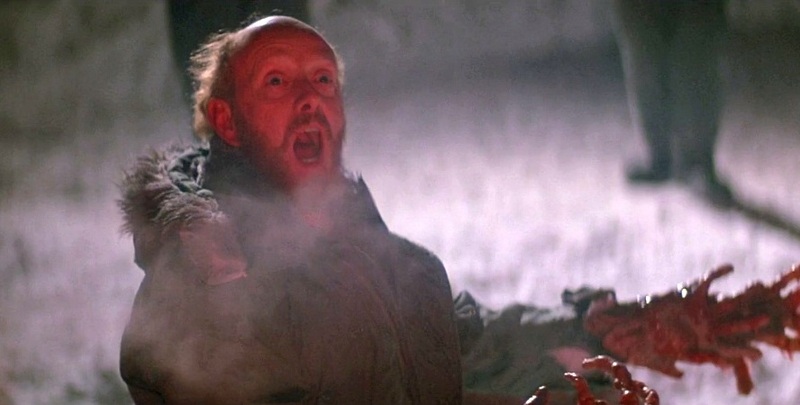 The audio design for the alien was deeply disturbing and absolutely suited the uncanny nature of the moment we hear it scream. It’s films like these which make me realise that my aversion to the horror genre is unfounded and that not every such film has to be composed of jump scares or gore. As a scaredy cat, it was a tense experience but ultimately, quite fun. Kudos to In the House for screening this classic! For other films which In The House is screening, feel free to check out their schedule here. 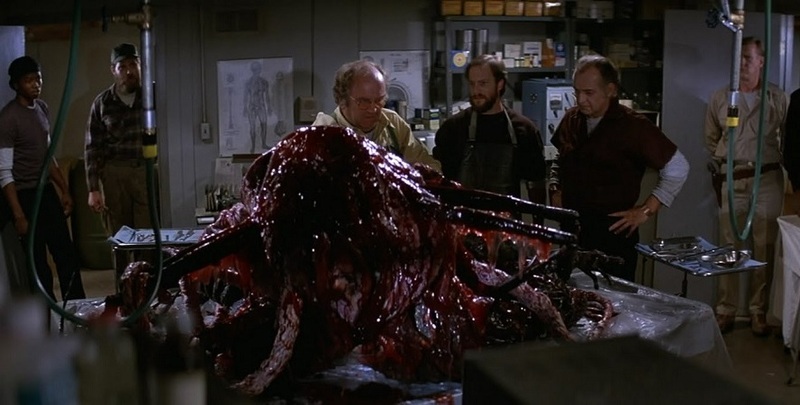 The Thing features awesome creature design and a strong, focused story to earn its cult classic status.